Mickey’s Very Merry Christmas Party will get a little more festive for 2018 with two new entertainment offerings to accompany popular returning shows. Disney Junior Jingle Jam will be added to the entertainment offerings for the 2018 Mickey’s Very Merry Christmas Party. It will be a dance party that occurs in Storybook Circus. The Halloween version offered the premiere of Vampirina along with Doc McStuffins. There’s no word yet on exactly which characters will appear for the Disney Junior Jingle Jam. I’ll update Character Locator as soon as I hear a definitive word. The remaining entertainment acts include popular returning favorites. 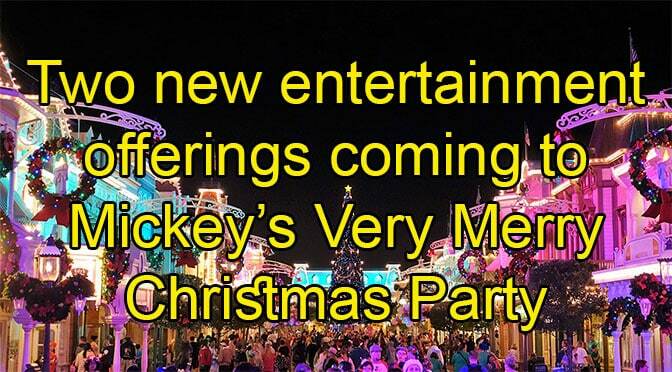 Are you looking forward to the 2018 Mickey’s Very Merry Christmas Party? Any word on which Characters are at the Jingle Jam for the Christmas parties? Are Reindeer Wranglers like the Cadaver Dan’s, but Christmas?